2 Bedroom Apartment To Rent in Leeds for £1,500 per Calendar Month. TWO WEEKS FREE RENT IF YOU MOVE IN APRIL Exceptionally spacious two bedroom,contemporary duplex apartment situated on the headrow and minutes away from the financial district and train station. 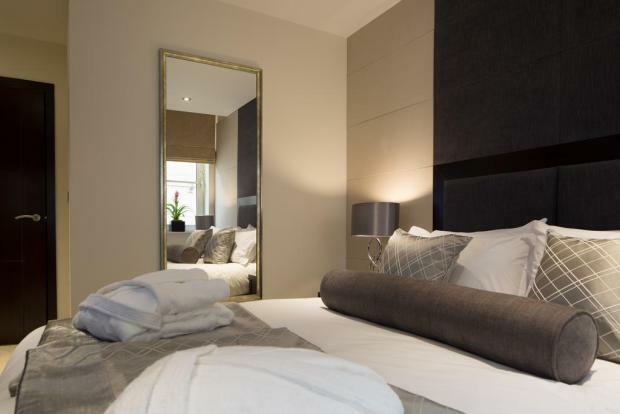 The apartment comes fully furnished with bespoke furniture packages and benefits from a large lounge/kitchen area, complete with sofas, coffee table, side table, dining table and chairs, and a 43â€ flat screen Smart TV. The generously sized bedrooms are furnished with large king sized beds, bedside tables (with bedside electrics), and fitted wardrobes. All utilities (excluding council tax and tv licence) and wi-fi are Â£200 for two people.